On Monday, 11-19-18 at 9:20 a.m., Officer Hepler conducted a check of a parked Toyota Sienna minivan at Crocker Avenue and Peoria Street. Both license plates affixed to the vehicle were reported stolen in San Francisco. Officer Hepler ran the VIN of the vehicle and found the vehicle was stolen from San Francisco. The officer noticed a screwdriver in the ignition and woke up the subject who was sleeping in the driver’s seat. 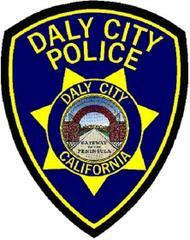 The subject, a 43-year old Daly City resident, was subsequently arrested for auto theft and possession of a stolen vehicle. On Monday, 11-19-18 at 1:17 p.m., Officer Gregorio and Officer Castillo were dispatched to the area of South Mayfair Avenue and Fairway Drive on a report of a female lying on the sidewalk. Officer Castillo found the subject on the ground with a large shoulder bag containing new shoes next to the subject. The officer determined the sleeping subject was actually a male. Officer Castillo asked the subject when he last used drugs, and the subject advised he had used heroin the day prior. The 29-year old transient subject had drug paraphernalia and property from nearby DSW, Home Depot and Safeway that he did not purchase. Officer Castillo advised the subject to clean up the mess he made and cited the subject for possession of drug paraphernalia, receiving stolen property and for an outstanding warrant. On Tuesday, 11-20-18 at 2:15 a.m., Sgt. Busalacchi was on Hillside Boulevard and Como Avenue and noticed a vehicle that failed to stop for a stop sign. He conducted a traffic stop of the vehicle at Hillside Boulevard near Gambetta Street. Sgt. Busalacchi said the sole occupant of the vehicle did not have his driver's license in possession and appeared to be very nervous, avoiding eye contact and unable to sit still. Officer Bermudez arrived to assist, and the subject became agitated when he was advised that his vehicle was going to be towed. The subject, a 40-year old Vallejo resident, was ultimately arrested for being under the influence of a controlled substance, possession of rock-base cocaine, possession of drug paraphernalia and driving without a driver's license. On Tuesday, 11-20-18 at 11:03 p.m., Officer Dhaliwal was dispatched to the In N Out restaurant on Washington Street on a report of an unconscious driver behind the wheel of a vehicle in the drive thru line. The fire department also responded and stated the subject was agitated and not getting out of the vehicle. The subject, a 29-year old San Francisco resident, was cited for driving under the influence of alcohol and transported to a sobering facility in Burlingame. On Wednesday, 11-21-18 at 9:30 p.m., a 25-year old Daly City resident was arrested for driving under the influence of alcohol causing injuries following a collision at Brunswick Street and Crocker Avenue. On Saturday, 11-24-18 at 12:36 a.m., Officer Soyangco was dispatched to the In N Out restaurant on Washington Street on a report of a male taking and eating customer’s food within the restaurant. The manager asked the subject to leave, and the subject refused. Officer Soyangco cited the subject, an 18-year old South San Francisco resident, for trespassing and resisting/obstructing a peace officer. On Sunday, 11-26-18 at 10:00 a.m., Officer Chittenden and Officer Serbin were dispatched to a business on the 2300 block of Junipero Serra Boulevard on a report of a holdup alarm. The subject had left before the officers arrived; however, a passerby advised the subject was currently on 87th Street in the alleyway behind the store. The officers arrived and found the subject getting extremely irate, cussing, screaming and becoming aggressive. Officers subsequently arrested the suspect, a 36-year old San Mateo resident, for being under the influence of a controlled substance, resisting arrest and possession of drug paraphernalia. On Sunday, 11-25-18 at 6:20 p.m., Officer Haas and Officer Herrera were dispatched to the area of John Daly Boulevard and Hwy 35 on a report of a hit and run with no injury. An anonymous reporting party told Officer Haas he saw a white Jeep with heavy front-end damage pull into the Harding Golf Course off Hwy 35. Officer Herrera stayed at the scene of the collision, and Officer Haas responded to Harding Golf Course where he located a white Jeep Cherokee with front end damage. Officer Haas said there was a male subject with his two juvenile sons standing outside of the vehicle. Officer Haas instructed the children to sit on the curb so that he could speak to the male away from the children. Officer Haas immediately smelled an odor of an alcoholic beverage on the subject and advised he would be conducting tests to determine the subject’s ability to drive. The subject, a 33-year old Santa Rosa resident, failed the field sobriety tests and was arrested for driving under the influence causing injury, hit and run and child endangerment. The subject’s 12 and 14-year old sons were taken to the police station and were picked up by their stepmother. There were no robberies during the past week. On Saturday, 11/24/2018, at approximately 10:38 p.m., officers were dispatched to the 900 block of Brunswick Street on the report of a residential burglary in progress. The homeowner, who was not at home at the time, was watching a live feed of his surveillance cameras of his home and noticed two unknown males wearing black hoodies inside his house. The homeowner contacted his daughter to check on his house and call the police. The responding officers found the front door kicked in and set up a perimeter of the residence. While officers were clearing the residence, two suspects jumped over a fence of a nearby home onto Brunswick Street and fled on foot in different directions. Officers pursued the two suspects, a 25-year old Hayward resident and a 26-year old Vallejo resident, on foot, and they were both taken into custody. A witness in the area stated he had seen three suspects. The surveillance video showed there were indeed three suspects. Officers conducted a yard to yard search of the houses in the perimeter and found the third suspect hiding in a backyard of a residence on Acton Street. That suspect, a 33-year old Oakland resident, was also taken into custody. All three suspects had property in their possession belonging to the victim. On Tuesday, 11-20-18 at between 8:48 p.m. and 9:00 p.m., an unknown suspect pried open a coin machine at the Palace Laundromat on Geneva Avenue and stole coins. From the video surveillance footage, the suspect is described as a black male adult, wearing a black jacket, black pants, black knit cap, red collared shirt, black shoes and had a black backpack with orange markings on the strap. On Wednesday, 11-21-18 at 4:00 p.m., an unknown subject pulled an iPhone XR from the display stand at the Sprint Store at Serramonte Center and left the store. The suspect is described as a white male, 20-25 years old, 5’7”, 130 lbs., wearing a red and yellow outfit with a red cap. •	Unit block of Westline Drive—a diaper bag, sweatshirts, miscellaneous electronics, paperwork, and a case containing a notebook laptop were taken from a 2017 GMC Denali. An unknown window was smashed. Occurred on 11-19-18 between 12:35 a.m. and 1:35 a.m. **On-line report made. •	Parking lot of AT&T on Gellert Boulevard—The contents of the glove compartment were taken from a 1999 Honda Civic. Occurred on 11-19-18 between 5:00 p.m. and 9:00 p.m. **On-line report made. •	2900 block of Geneva Avenue—A 2012 Toyota Corolla was ransacked and $40 was taken. The right rear window was smashed. Occurred on 11-20-18 between 1:00 a.m. and 8:00 am. **On-line report made. •	Unit block of Oriente Street—A 2008 Toyota Corolla was ransacked but nothing was taken. The right rear window was smashed. Occurred on 11-20-18 between 5:00 a.m. and 10:30 a.m.
•	Schwerin Street/Geneva Avenue—coins, paperwork and Gucci cologne were taken from a 2005 Toyota Camry. A window was smashed. Occurred between an unknown date and time until 11/20/18 at 10:00 pm. **On-line report made. •	Parking lot of In N Out Burger on Washington Street—a “Hershel” backpack containing Beats by Dre headphones was taken from the front passenger floorboard of a 2016 Honda Civic. The front passenger window was smashed. Occurred on 11-21-18 between 12:35 a.m. and 1:00 a.m.
•	Thornton Beach parking lot—three backpacks containing laptops, credit cards, identification and miscellaneous items were taken from a 2009 Mercury Mariner. The right rear window was smashed. Occurred on 11-21-18 at approximately 10:30 a.m.
•	Serramonte Shopping Center near JC Penney—nothing was taken from a 2006 Honda Accord. The left front window was smashed. Occurred on 11-21-18 between 8:00 p.m. and 9:45 p.m.
•	6700 block of Mission Street—a bag containing $1,000, credit cards and miscellaneous items was taken from a 2013 Ford Focus. The rear window was smashed. Occurred on 11-22-18 at 5:00 p.m.
•	Parking garage at 2001 Junipero Serra Boulevard (5th floor)—a mini-flashlight, Rayban sunglasses and $10 was taken from a 2016 Lexus NT2006. The right rear window was smashed. Occurred on 11-24-18 between 5:30 p.m. and 7:30 p.m.
•	Parking lot on 6600 block of Mission Street—a 2018 Honda Civic. Occurred between 9:00 p.m. on 11-20-18 and 7:30 a.m. on 11-21-18. **Recovered by San Francisco P.D. on 11-23-18. •	900 block of St. Francis Boulevard—a 1989 GMC 3500. Occurred between 10:00 p.m. on 11-23-18 and 7:00 a.m. on 11-24-18. On Friday, 11-23-18 a 30-year old Daly City resident was looking at the “Let it Go” app and found a Play Station 4 game console for sale for $200. The reporting party and the seller agreed upon $175 and stated the seller told him to use a “cash” app to send her the $175, and she would deliver the game console. The report said he sent the $175 and contacted the seller to arrange a place to pick up the game console and discovered the seller blocked his account. The reporting party said he made up a fake account and located the same ad in the “Let it Go” app. He contacted the seller and asked if the game console was still available. The seller advised it was for sale, and the reporting party asked why she was scamming people. The reporting party said the seller then blocked his fake account. I caution you to agree upon a place to meet and conduct the transaction at the same time. I recommend utilizing the City’s “Internet Safe Sale and Exchange Zone” in the visitor parking lot at City Hall at 333-90th Street.